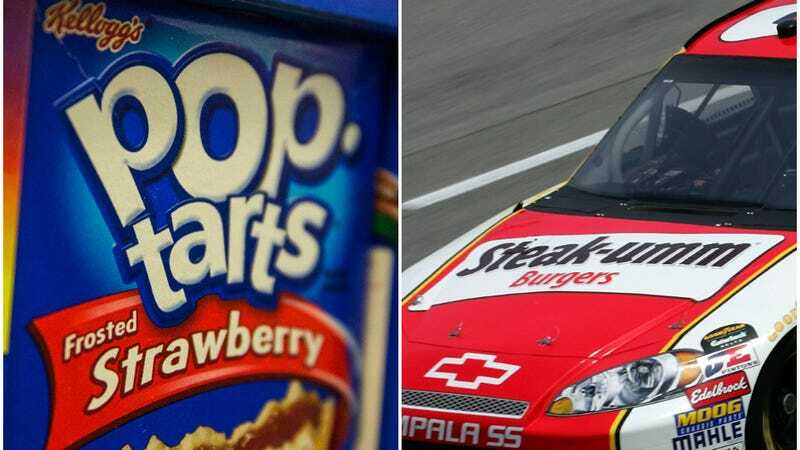 Pop-Tarts and Steak-umm, two brands with nothing left to lose, have gone meta on Twitter. After fully embracing the dystopian hell behavior of pretending that their social media accounts are witty, sarcastic people rather than, uh, corporately mandated online advertisements, there was probably nowhere else to go than where we are now. The tweets are in lower-case, gently make fun of one another, and are filled with existential despair. They are, in other words, meant to resemble Twitter accounts used by real young people with beating hearts in their chests and warm blood pumping through their veins, not a pair of food products’ social media presence. Steak-umm has gone a similar route before, getting all-too real about generational angst in a manner deeply inappropriate for an account meant to promote boxed meat slices. It also ended that thread with “Steak-umm bless,” which is a phrase that seems capable of summoning demonic forces if repeated aloud. Having further utilized the language of late-capitalist malaise to fuel the sales of its frozen beef strips, Steak-umm will have to get even more creative to commit its next online atrocity. Maybe it’ll stick a Ko-Fi link at the top of its profile, let people know about its Soundcloud, or reply to Trump’s most noxious tweets with personalized outrage. Why not? There are no more taboos left now. Steak-umm has broken them all.